Founded in 1991 by Linda P. Erickson, CFP® we have had the privilege of growing as a family business. We now venture into our third decade of building relationships based on providing trusted advice with integrity, honesty, and respect. 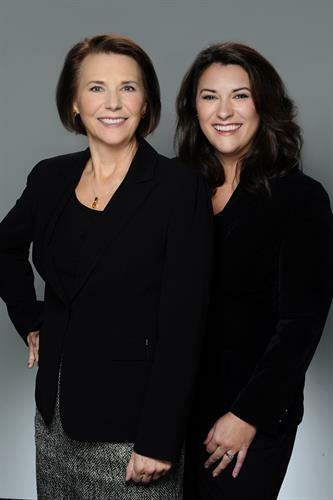 Lauren and Linda are a mother-daughter ensemble team, each with distinct responsibilities & strengths, both committed to maintaining a welcoming space for our clients where we strive to create security, make the complex simple and build meaningful impact in people's lives. We manage your wealth through a thoughtful investment lens, incorporating Impact, ESG (Environmental, Social and Governance) and traditional investing strategies into our planning methods to meet your best interests and goals. Utilizing a consultative approach, we focus on educating and empowering our clients, giving you the knowledge and guidance you and your family need to take control of your financial life. This means you have a team behind you, cheering you on, keeping you on task and guiding you towards your strengths. We are here to help you be your best self so you can go out into the world and make an IMPACT.